Now that the Venice Canals are lit up with sparkly Christmas Lights, it’s time for the 28th Annual Venice Canals Holiday Boat Parade! 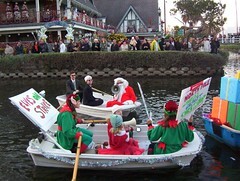 This Sunday, Dec. 13th at 4:00pm go to Carroll Canal and Eastern Canal and watch the costumed boaters make their way through the canals. 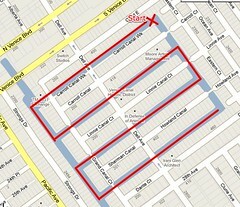 For more information on the parade route and contact information to enter your own boat, head over to Voice of the Canals. Previous PostPrevious ICME: gloves, hats and scarves…wtf are we Mpls now?